Over the last decade, VoIP services and more especially the SIP-based ones, have gained much attention due to the low-cost and simple models they offer. Nevertheless, their inherently insecure design make them prone to a plethora of attacks. 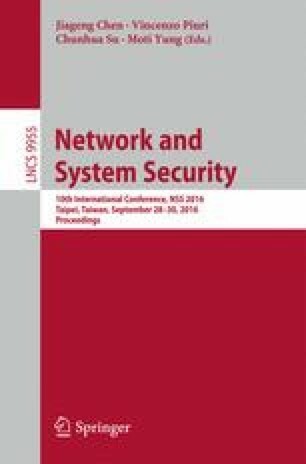 This work concentrates on the detection of resource consumption attacks targeting SIP ecosystems. While this topic has been addressed in the literature to a great extent, only a handful of works examine the potential of Machine Learning (ML) techniques to detect DoS and even fewer do so in realtime. Spurred by this fact, the work at hand assesses the potential of 5 different ML-driven methods in nipping SIP-powered DDoS attacks in the bud. Our experiments involving 17 realistically simulated (D)DoS scenarios of varied attack volume in terms of calls/sec and user population, suggest that some of the classifiers show promising detection accuracy even in low-rate DDoS incidents. We also show that the performance of ML-based detection in terms of classification time overhead does not exceed 3.5 ms in average with a mean standard deviation of 7.7 ms. This paper is part of the 5179 (SCYPE) research project, implemented within the context of the Greek Ministry of Development-General Secretariat of Research and Technology funded program Excellence II/Aristeia II, co-financed by the European Union/European Social Fund - Operational program Education and Life-long Learning and National funds.